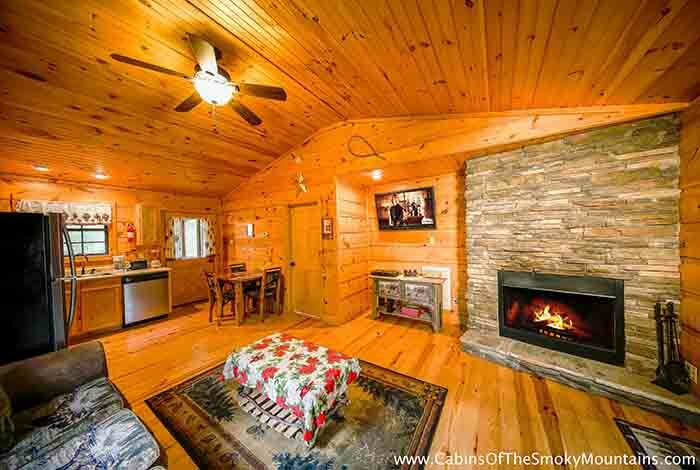 Whether you and your spouse just want to get away from the kids, or even bring them with you, this is the cabin for you. 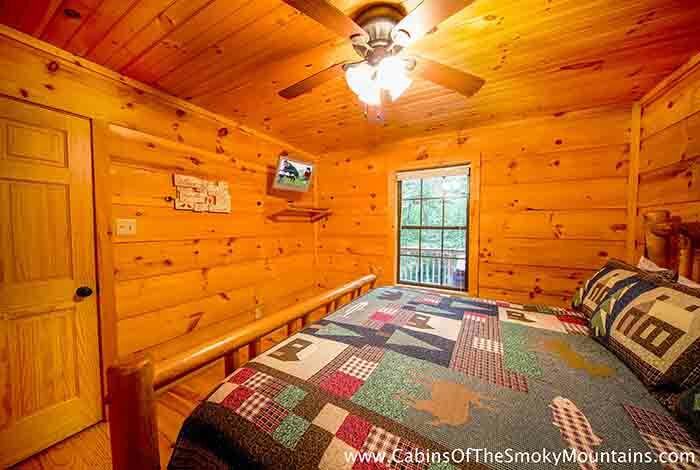 This one bedroom 2 bathroom sleeps a family of 4 and it nestled in the great outdoors of Pigeon Forge. 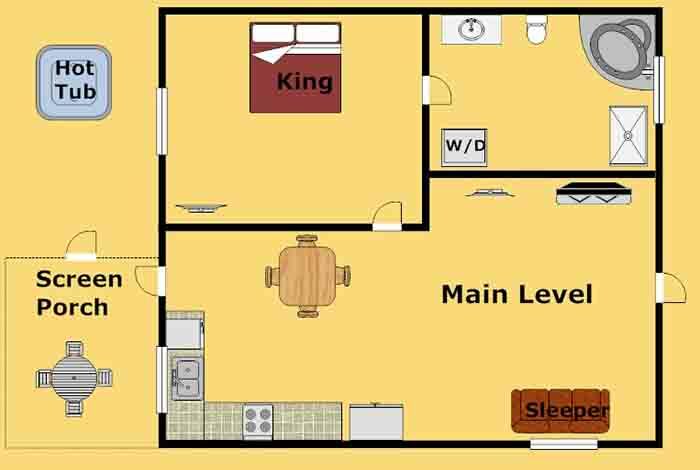 Hence the name, Dolly's Delight is one of the closest luxurious cabins to Dollywood and Splash Country. 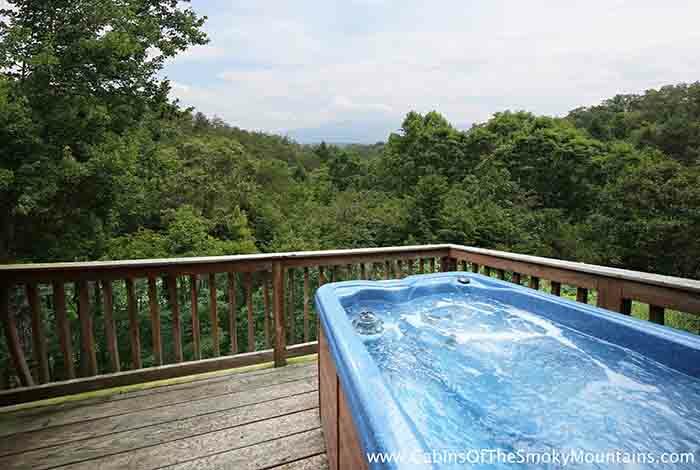 After enjoying your day out on the town, you can relax in the hot tub outside or even the Jacuzzi inside! No excuse to not have a family picnic outside at this cabin because you have a picnic table as well as a charcoal BBQ grill to grill out all of your favorites! 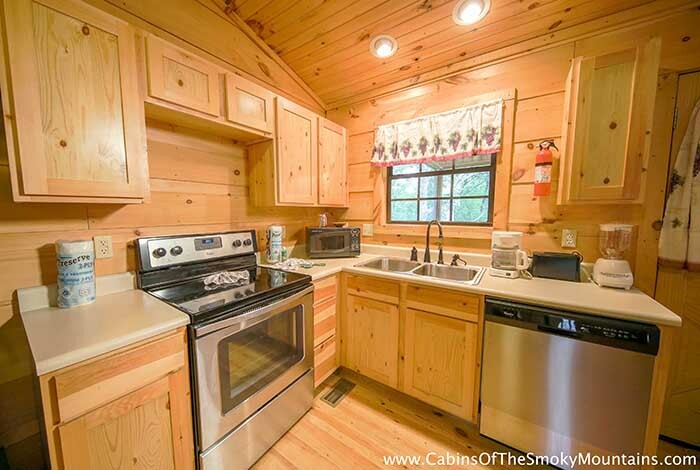 If you are looking for a honeymooner getaway or a family week, this cabin is perfect for you!